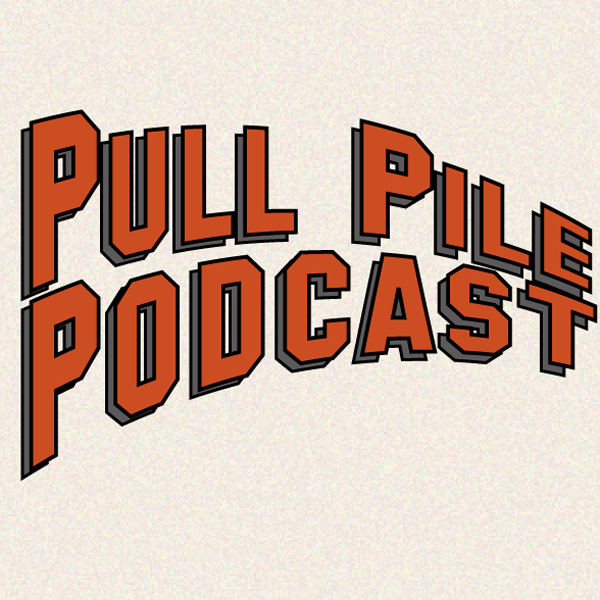 At my good friend Rah Unique’s (@rah_unique) recommendation I began following the Pull Pile Podcast on Twitter and Facebook. 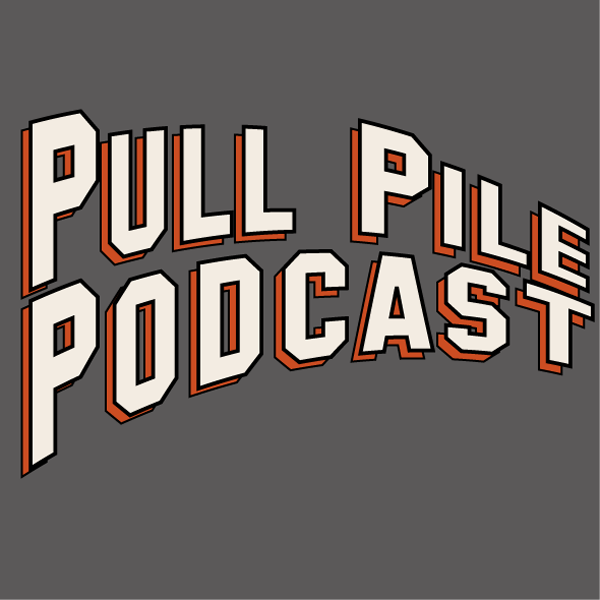 Okay for the uninitiated a pull pile (or pull list) is a list of comic books that collectors subscribe to at their Comic Book Store. Most of you may remember being able to pick up comics at your local candy shop, super market, news stand or 7/11. That distribution model is long gone, Comics are primarily found in specialty Direct Market and Hobby stores. So the podcast is about the new releases the two hosts pick up every Wednesday, the day new releases of comic books are sold. They also discuss films and television series and other related media. 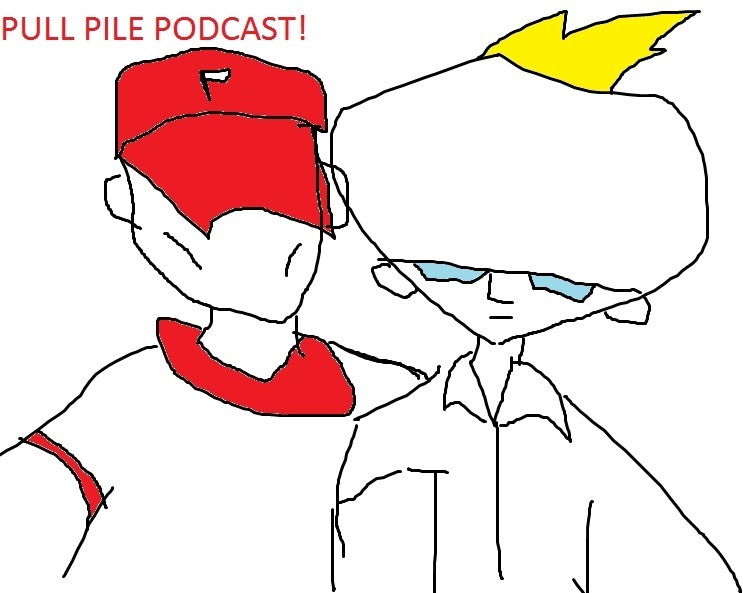 So the hosts of the Pull Pile Podcast The Head and Winthrop Chesterton wanted to create a new identity and presence online with a new logo and some original artwork. They reached out to their fan-base and followers on various social media platforms. I answered the call and they got in touch with me and told me what they needed. Here’s what they had a friend put together to give me a rough idea for what design challenges I had to meet. The great thing about this is that these guys knew what they wanted and were able to clearly demonstrate what they needed from me. So I pretty much hopped on this as soon as I could, because although I hadn’t met them personally I felt like these were kindred spirits, I saw their tweets, listened to their podcast and there was even some interaction online. They use the hashtag #letstalkcomics to ask fans questions about comics, the characters, the creators and the industry in general. So as I said there was already a bond, a sense of fellowship. So I showed them some roughs that I worked on in Adobe Illustrator. I started with the familiar old DC Comics logo as inspiration. Then I modified it to a series of Ps with the number three taking up residence in the curve of the letter P. Being comic fans they went with the DC bullet, and the masthead was a simple design with layered bold letters reminiscent of the silver-age of comic books, which is around the late 50s/early 60s, where the Justice League of America formed and The X-Men, Avengers, Spider-Man and other well known characters were first introduced or revamped. I was told to move forward with these designs and gave them a swatch of these designs with different color schemes. Here are a few that they liked. I used the banner on their podcast as inspiration for a few color schemes. They really seemed to appreciate that. With that done it was on to the illustrations and the mock comic book cover. The characters were definitely interesting and fun to draw, one has no face, like The Question and the other, an over large cranium, like Megamind. I feel a bit longwinded at this point, so I’ll just show the final product. I know bandwith is a little crazy in some places and too many images can slow ya down, so here you go. 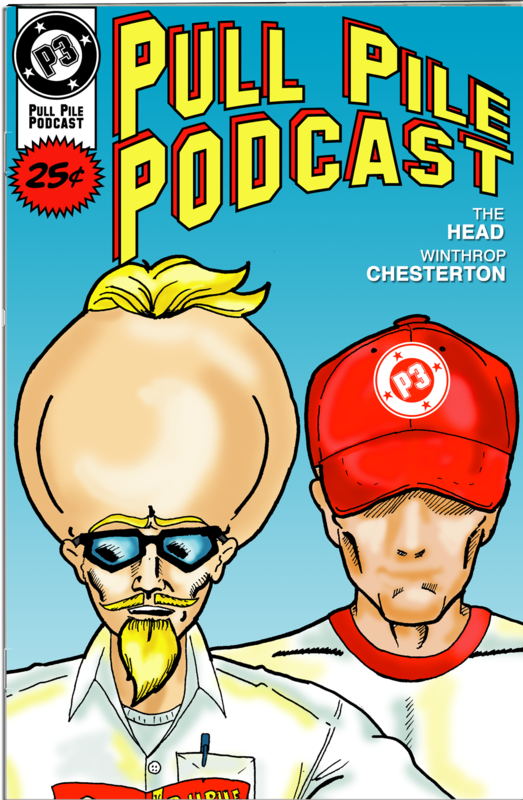 I put the comic on a bed of classics and maybe spent too much time rendering the headphones, but I like the work and more importantly so did Winthtrop and The Head. Hopefully I get more (paid) work in the future to showcase, it was fun and I wish these guys all the success in the world. 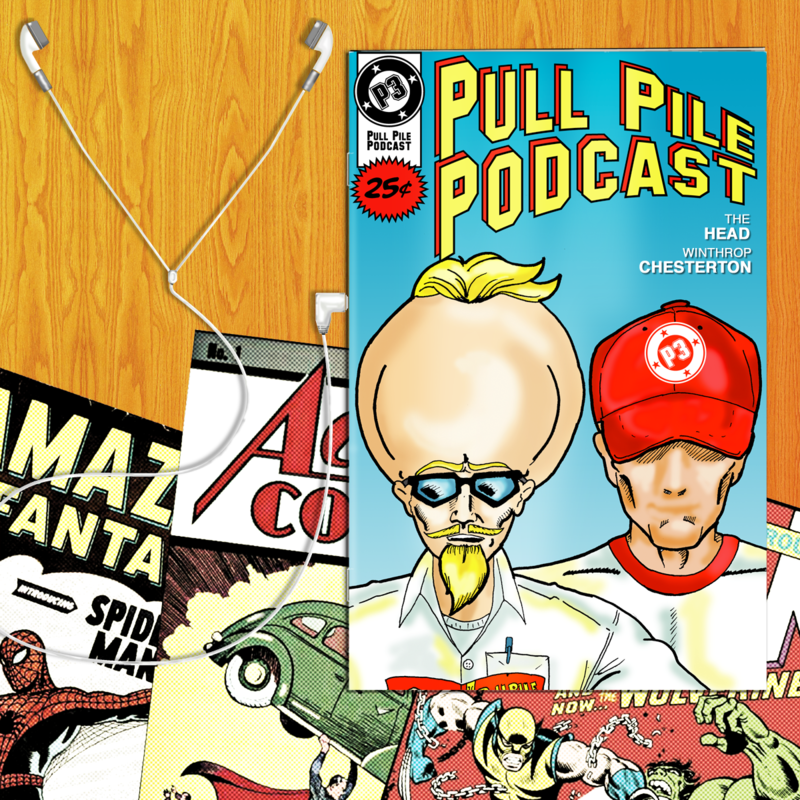 If you’re a fan of comics follow them on twitter, listen to the podcast and tell ’em @Countbaqula sent you. Congrats on landing that gig. That’s what I’m talking about my dude. You have that knowledge, talent and skills TLW knew you had. More will come your way. I didn’t even know that you designed their new logo. I love the design. Good stuff! Seriously, you are talented as hell man. Keep shining my brother, keep shining.